We are planning to upgrade Faculty Websites to WordPress 5 on April 16, 2019. 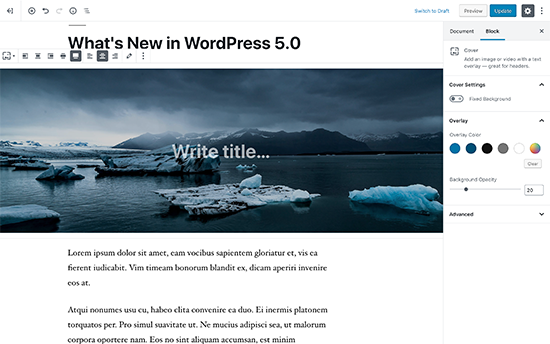 The biggest change to WordPress 5 is the new Block Based Editor codenamed Gutenberg. The new editor replaces the simple text window with a new block based version. Each content element is wrapped in a block allowing you to move them around, change their settings, and create more visually pleasing layouts. The new editor is a big change. We want to make the upgrade as easy as possible, so we are also installing the Classic Editor and making it the default. This will allow you to “opt-in” to enable the new block based editor when you are ready.